We are specialist gritting contractors, with a wide range of winter gritting and snow clearing services available. Winter gritting treatment and snow clearing of roads, pavements and car parks using high quality rock salt is essential to keep the wheels of industry safely turning even during the most adverse weather conditions. Our teams of highly trained operatives ensure that gritting services can be provided safely and efficiently. Using a fleet of specially adapted vehicles including 4x4's, fitted with the latest gritting equipment able to access the most remote sites, we are ideally placed to provide a rapid and efficient service. 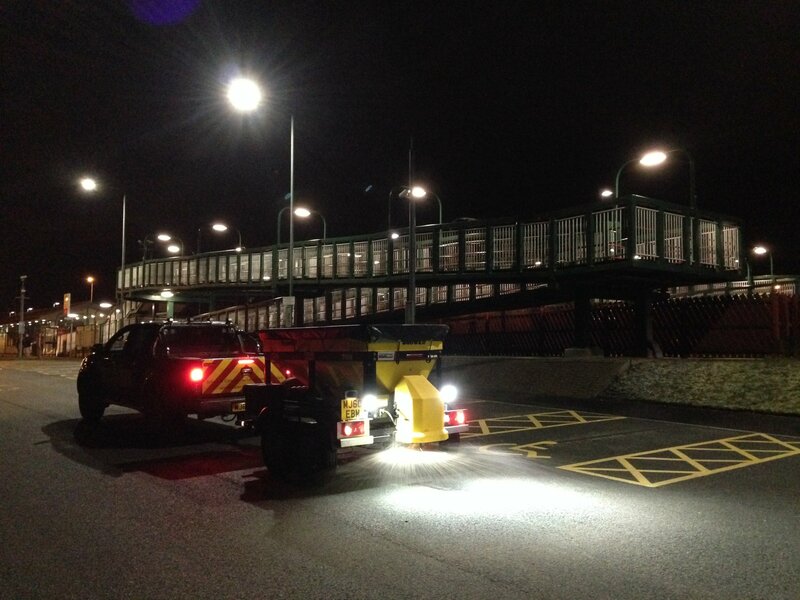 High quality gritting equipment also ensures accurate coverage of rock salt and other de-icing materials, minimising wastage.